Zeke Peterson is making his second appearance in the OPTIMA Ultimate Street Car Invitational, presented by Royal Purple and KN and this time he is bringing his other VW Beetle. For those of you who are unfamiliar, Zeke competed in the 2011 OUSCI in his 2003 VW Beetle (one of dozens in his stable of VWs) and fared quite well, finishing 18th overall in his rookie effort. A year of experience and familiarity with the event and the track itself should only serve to help boost Zeke's chances in 2012. If this picture suggests a fair amount of plumbing in Zeke's Beetle, we'll let you know that is certainly the case. The Beetle itself is a 1.8-liter Turbo S, breathing through a custom SEM intake and 75-mm throttle body. The car also features an apikol front-mounted intercooler with a nitrous halo kit and a water-methanol injection kit from Snow Performance. 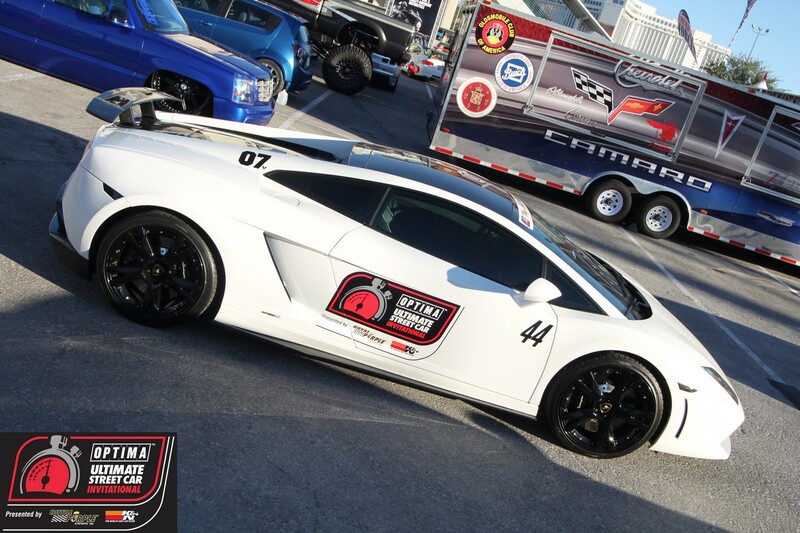 That combination is good for a whopping 400 horsepower and 415 lb-ft. of torque. Handling has also been upgraded with Bilstein PSS9 coilovers and the six-speed Beetle now stops with StopTech 332-mm rotors and ST40 calipers. Not only does Zeke have OUSCI experience in his corner, but the shop that will be prepping his car, 3ZERO3 Motorsports, out of Wheat Ridge, Colorado, also has OUSCI experience in prepping his car for last year's event (in addition to also prepping Matt Collins' Audi for this year's event). We've watched Zeke's black VW run for a few years, so we know it is sorted out. He also nabbed all the points in the Detroit Speed Engineering/JRI Shocks Road Rally last year, so we expect he'll be able to do the same again in 2012. There is no question there has been a lot of work put into Zeke's VW, but the question is whether it will be the kind of work the judges are looking for in the Lingenfelter Performance Design Challenge, where later-model vehicles have traditionally struggled to pick up points. The Wilwood Disc Brakes Speed Stop Challenge was Zeke's best event in 2011 and his 13th-place finish there helped propel him to 18th overall. This year's format with a slalom incorporated into the run could change the outcome, but we expect Zeke to be up to the challenge. Zeke's brought his twin-turbo Beetle last year, because of concerns about turbo lag in the black Beetle he is running this year. Those same concerns remain, but a new limited-slip differential should help. If he can keep his rpms up, we expect to see him up on three wheels again this year. Zeke was more than 20 seconds off the pace of the leaders in the BFGoodrich Hot Lap Challenge last year, but that still put him more than 40 seconds ahead of the back off the field. If the Beetle stays together, Peterson will knock off some high-powered musclecars with serious horsepower advantages, just like he did last year. 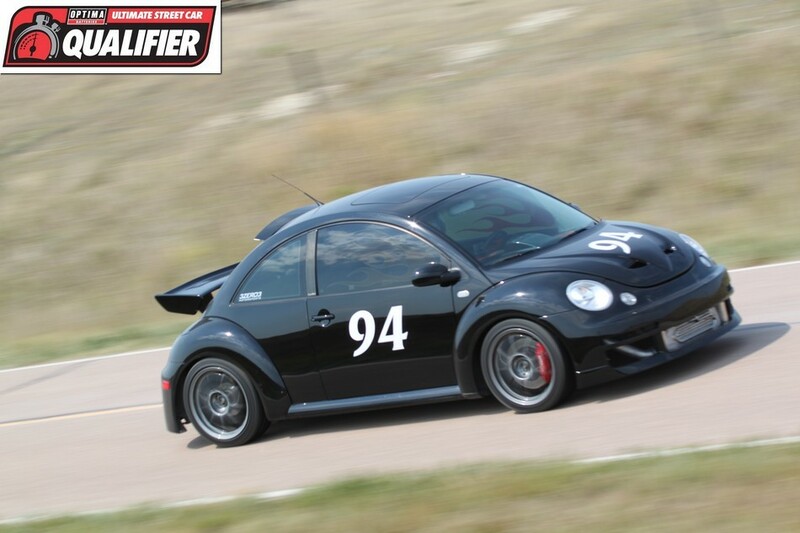 Zeke has run this Beetle in the Sandhills Open Road Challenge in each of the last six years and claims the car corners faster every year. We think a year's worth of experience on the road course in Pahrump will give him the most opportunity for improvement in any of the events this year. Zeke's time last year was just seven seconds outside of a scoring postion. If he can shave enough time off his previous-best lap of 2:04.8, he may have a chance of picking up some points here. The question is how much time can he shave off from last year? History has shown us that the OUSCI field is getting faster every year. In 2010, Bill Howell scored points in the Hot Lap Challenge running a 2:01. Last year, the cut-off was Bob Michaels' 1:57.53. We don't think the field will tighten up by another four seconds in 2012, but it probably won't get easier. With less than 500 tickets remaining for the 2012 OUSCI, we suggest you buy your's before it's too late.